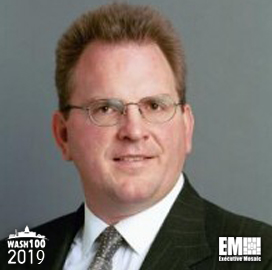 Executive Mosaic is honored to unveil Jim McAleese, principal and owner of McAleese & Associates, as an inductee into the 2019 Wash100 — Executive Mosaic’s annual selection of the most influential voices in the government contracting arena — for his work in providing consulting and legal services to government contracting businesses. This latest honor marks the third Wash100 Award for McAleese. He founded the Sterling, Va.-based consultancy in 1992 and has helped defense companies and the GovCon community by providing insight into policy changes and their impact on the industry as well as potential investments. Most clients are involved in contracts with the Departments of State, Defense and Homeland Security. In November 2018, McAleese released a report that forecasts annual defense budgets for fiscal years 2020 and fiscal 2021 in the $700B-$716B range. The report noted that the FY 2019 Department of Defense budget rose 13 percent over FY 2017 defense funding levels. He reported in December that President Trump met with then-Secretary of Defense James Mattis, National Security Adviser John Bolton and Senate Armed Services Committee Chairman James Inhofe, R-Okla., to discuss defense funding and priorities such as emerging technology and a 355-ship fleet. Another McAleese report stated the U.S. Navy expects to meet an 80 percent mission-capable rate requirement established by the DoD leadership for the service’s F/A-18 Super Hornet aircraft by the end of this year. McAleese previously worked as an attorney in Washington, D.C., specializing in government contract law. Early in his career, he was an intern for the U.S. Army contract appeals division. McAleese serves across various board and leadership roles at professional organizations that support the U.S. defense and intelligence sectors. Executive Mosaic congratulates Jim McAleese and his team for their selection to receive this award.